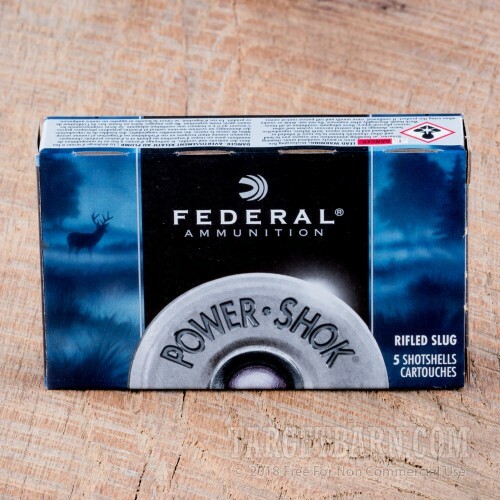 An ideal choice for big game hunting, Federal Power-Shok slugs deliver reliable, hard-hitting performance. Each round is loaded with a 1-ounce Federal TruBall rifled slug. 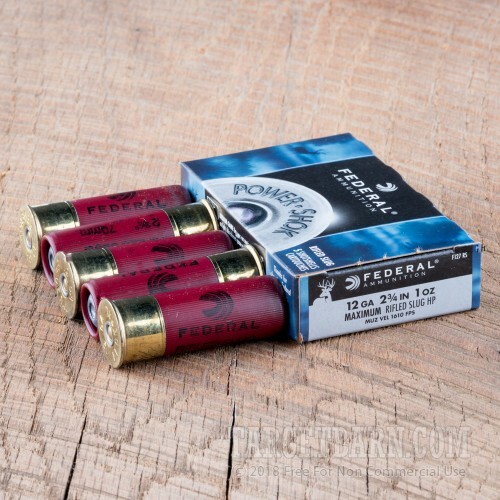 Designed to position the slug in the middle of the shotgun barrel, the TruBall construction facilitates superior accuracy at longer distances than most other shotgun slug models. 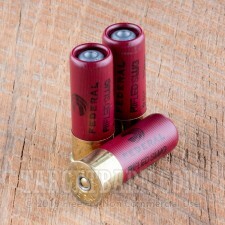 Each of these 5 Federal Power-Shok rifled slugs functions with most 12 gauge shotguns compatible with 2 ¾ inch shells. 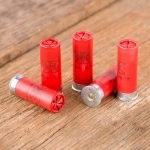 Made specifically for use in smooth bore shotgun barrels, these versatile rounds can also be used in rifled barrels or in conjunction with rifled choke tubes. 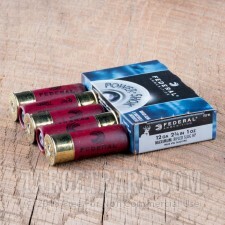 The soft lead hollow point slug delivers maximum expansion to create a wide and effective wound channel. Delivering dependable accuracy and stopping power out to 100 yards, each round produces a muzzle velocity of 1610 feet per second and a shocking muzzle energy of 2518 foot pounds. This is a smart choice to provide the extra power necessary when hunting big game including deer, bear, and wild boar.